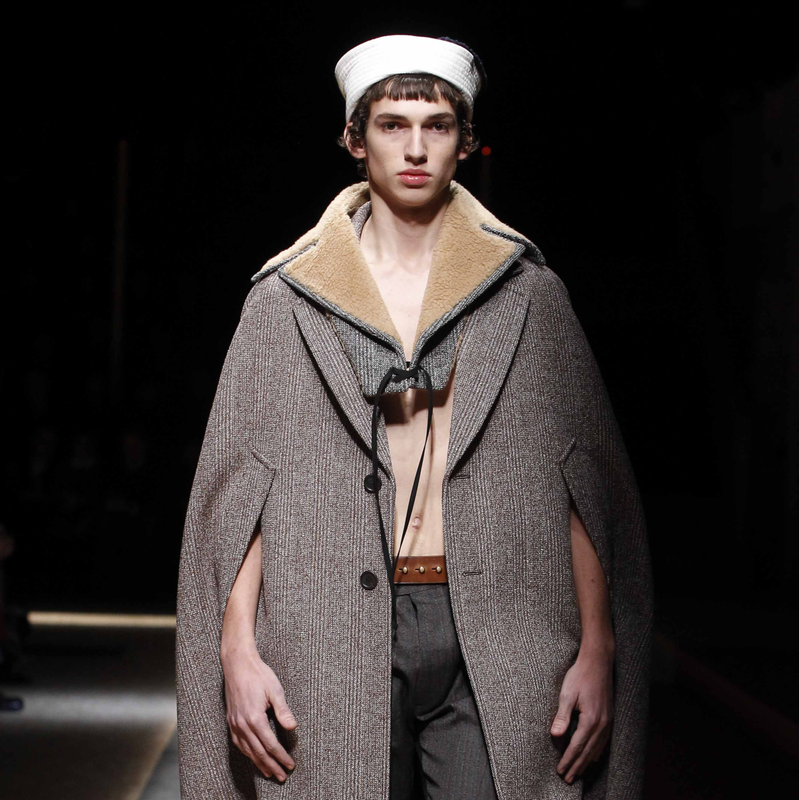 For this fall, Prada is going nautical and arty. 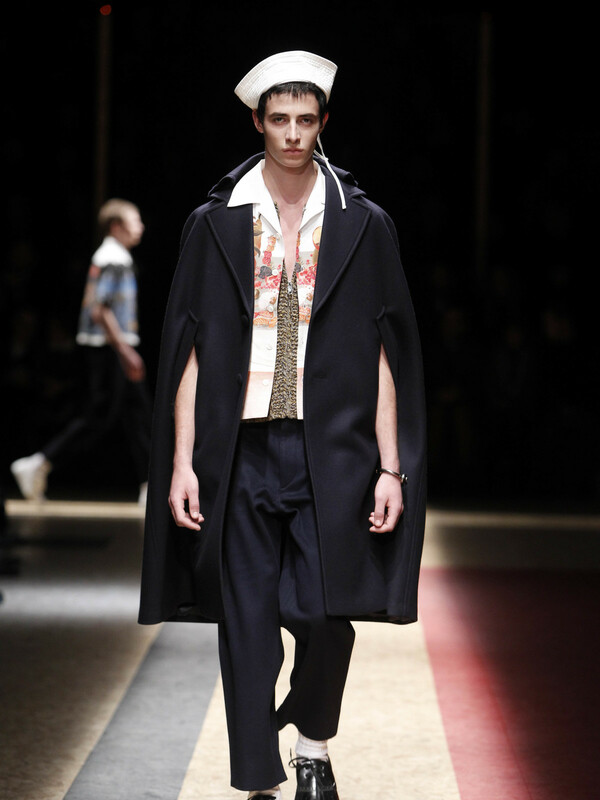 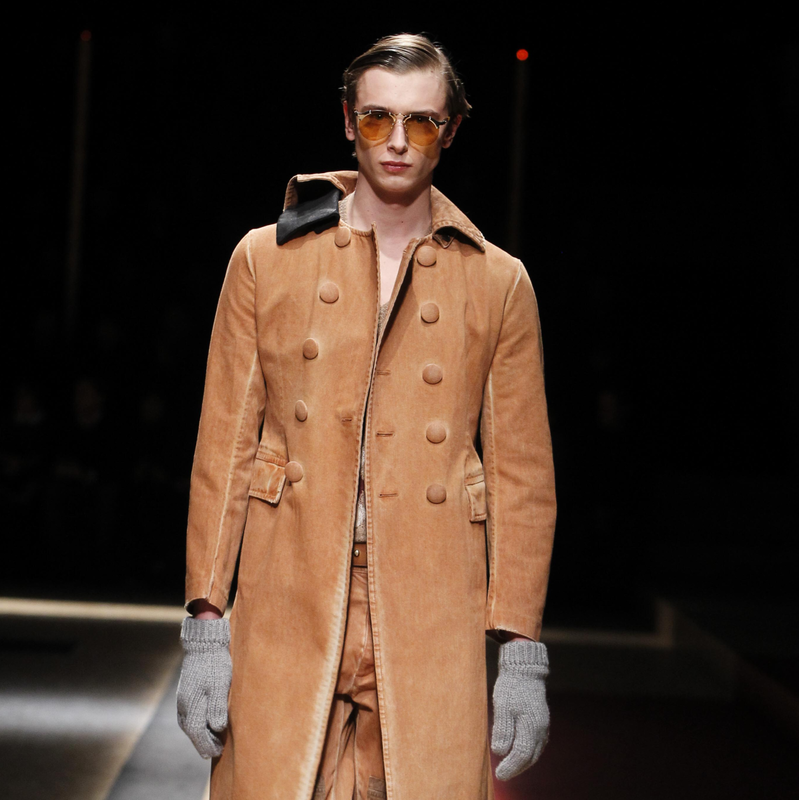 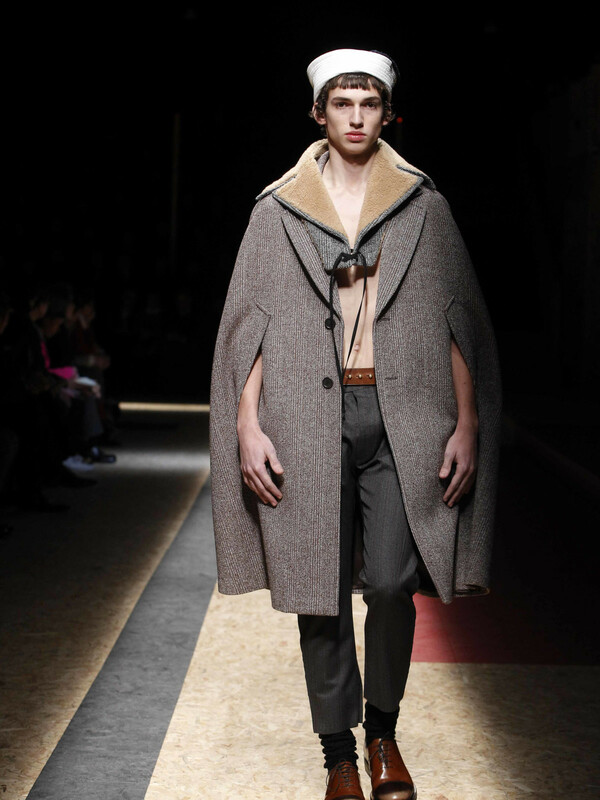 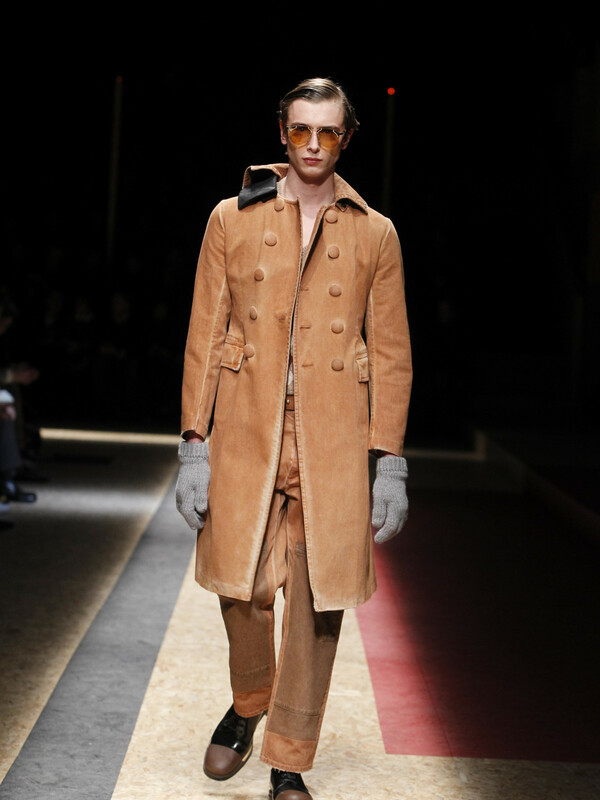 As usual, Miuccia Prada blends a lot of themes and her current menswear collection is no exception. 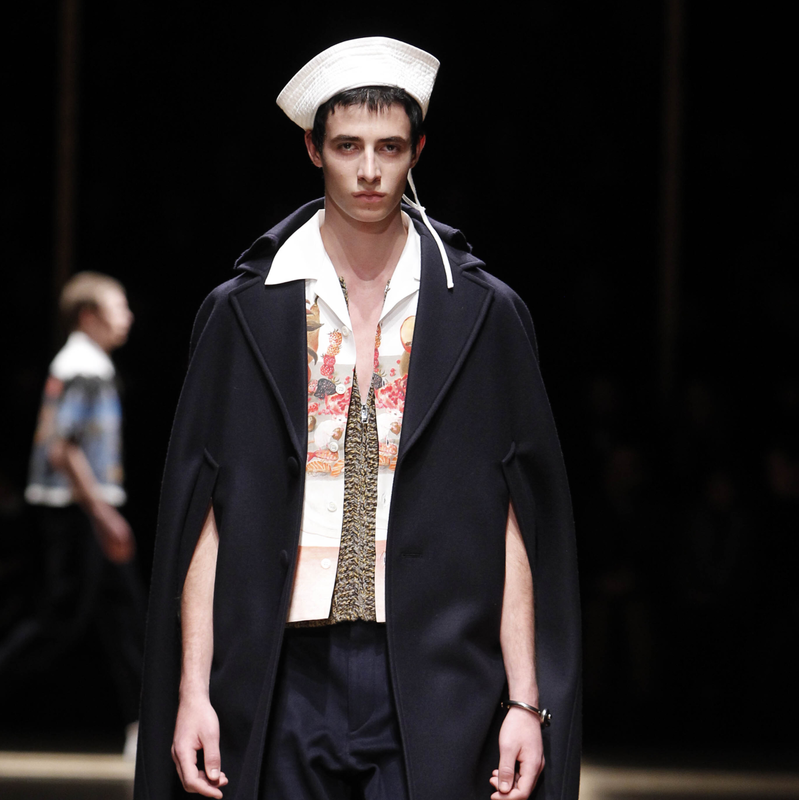 On a wooden set, with ceremonial gateways, balcony seating and a raised central platform to resemble a public town hall space, the Italian fashion house unveiled a collection for men that includes sailor motifs, with officer capes in military blue and check patterns, and shirts with drawings of mythical creatures and romantic scenes. 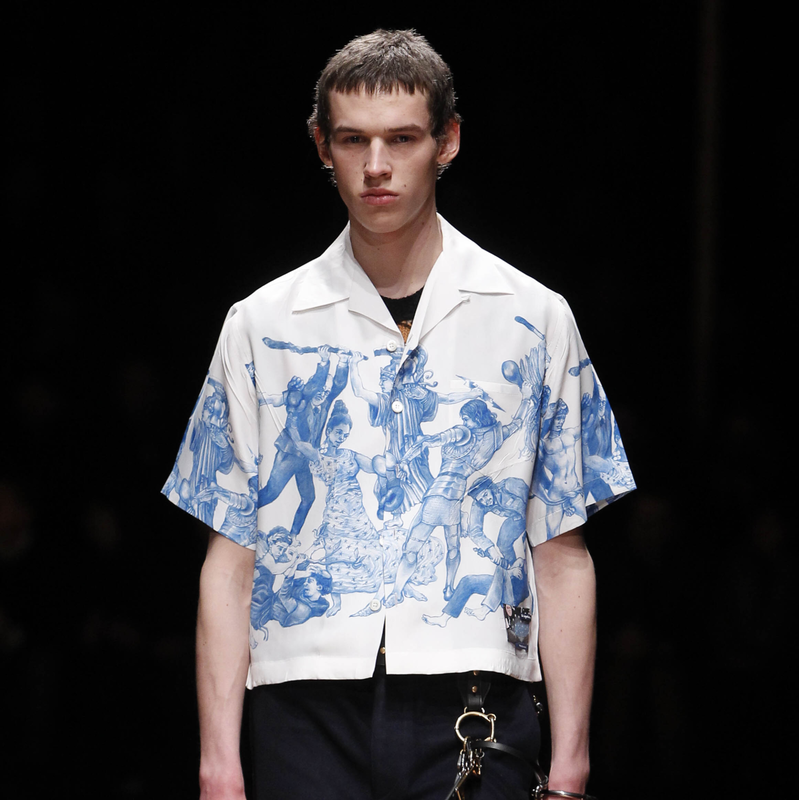 The most striking shirts, long and deconstructed, featuring unicorns, banquet thieves and a couple locked in deep embrace, were drawn by self-taught French artist Christophe Chemin, who now lives in Berlin. 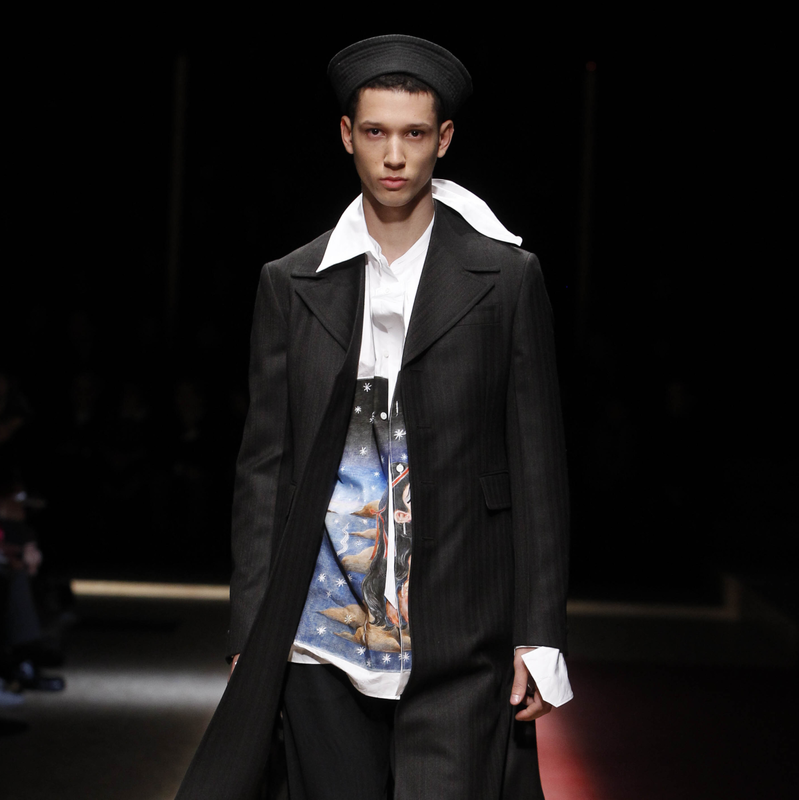 Many of the looks, which were shown at the specially-constructed set at the Prada headquarters in Milan, were topped off with white sailor caps, tied at the back with strings dangling down. 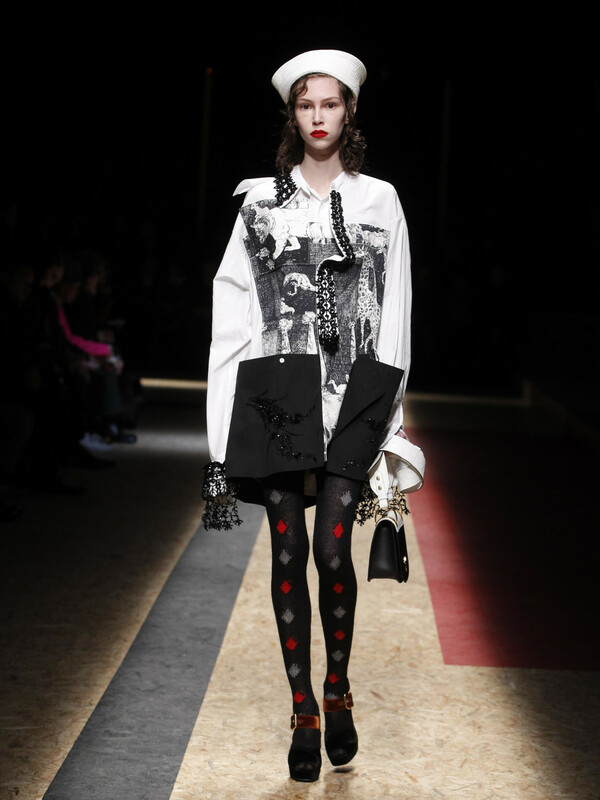 And chains dangled from pants pockets onto skeleton keys as the models walked the runway. 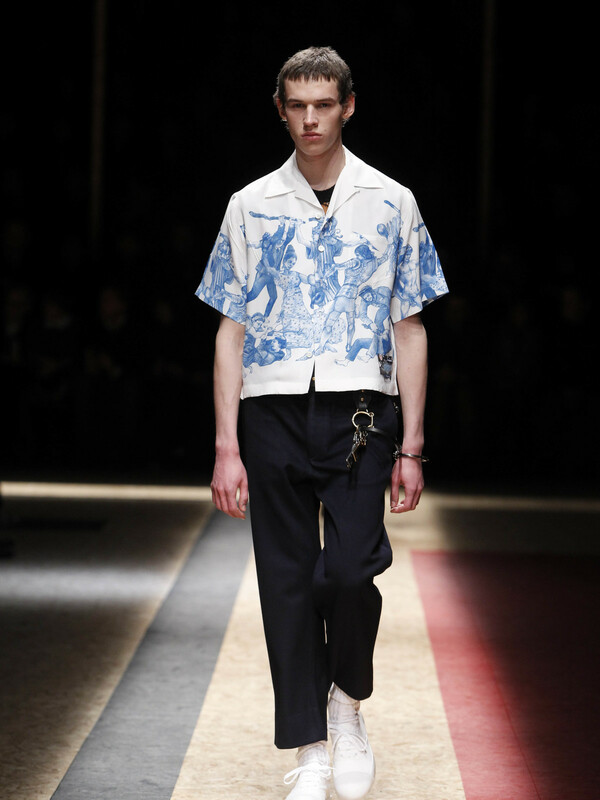 As usual, Prada footwear was noticeable, too, with shiny loafer brogue hybrids, sometimes in two-tone colors, that are likely to be a menswear fashion favorite. 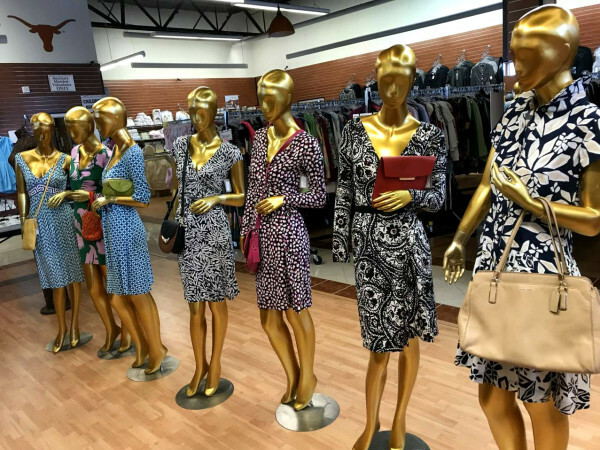 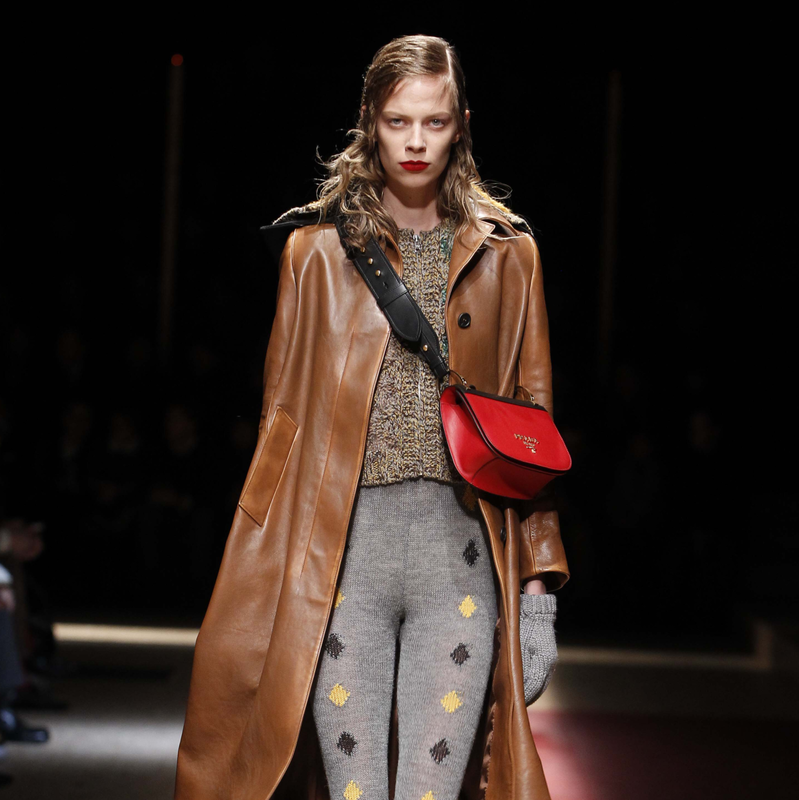 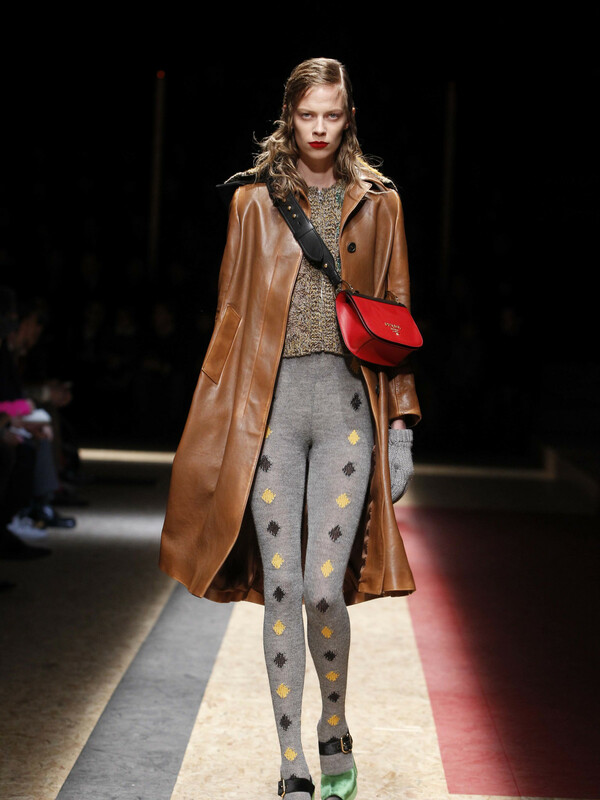 Prada sprinkled in a few women's looks and they tended to outshine the menswear, with striking patterned knit tights and a small cross-body flap bag that's likely to be a popular seller. 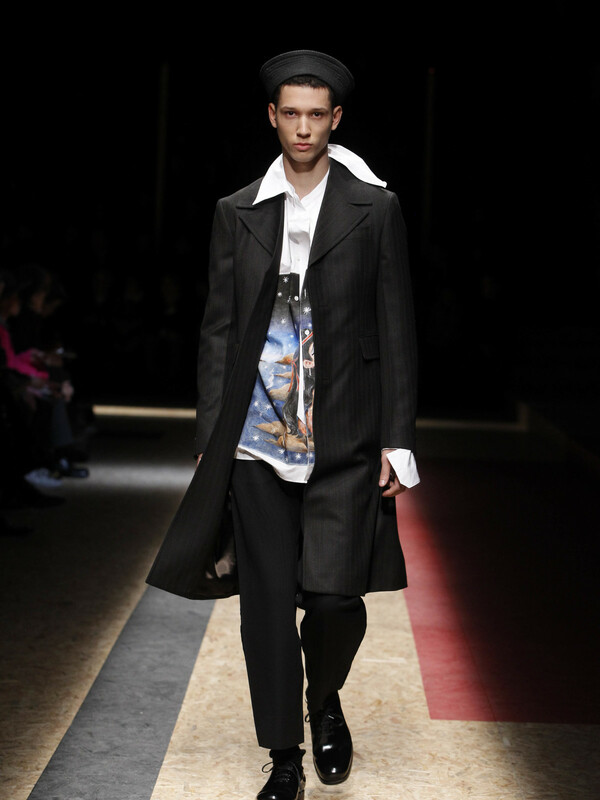 And the oversized artfully-drawn shirts can be worn by both sexes, which makes the fashion budget go a little farther, right?